Winners only for this round, and apologies from Sho, I genuinly thought I'd announced these MONTHS ago, but hey - the anticipation makes it all the more exciting, right? Voting is now closed! Bear with me as I verify the votes and create the winners' awards! Thank you all for your patience - Voting for the 2013 round is now open! The 2013 round of the WKA is now open for nominations. Please ensure you've checked out the rules and categories before nominating! The winners of the 2012 round have now been announced! Congratulations to everyone, and I just wanna take this opportunity to say thank you all so much for supporting this site and Happy Holidays! Voting is now CLOSED. All votes are currently being verified, check back soon for results! The 2012 round of the WKA is now open for voting! Please check out the rules! 2012 nominations open on 4th September 2012 and will stay open until 30th Sept. Voting will open on 1st Otober and remain open until Hallowe'en... *grins*. Winners will be announced as soon as humanly possible afterwards. Winners are now announced! Apologies for the delay, unavoidable health issues cropped up I'm afraid. Thank you for your patience! 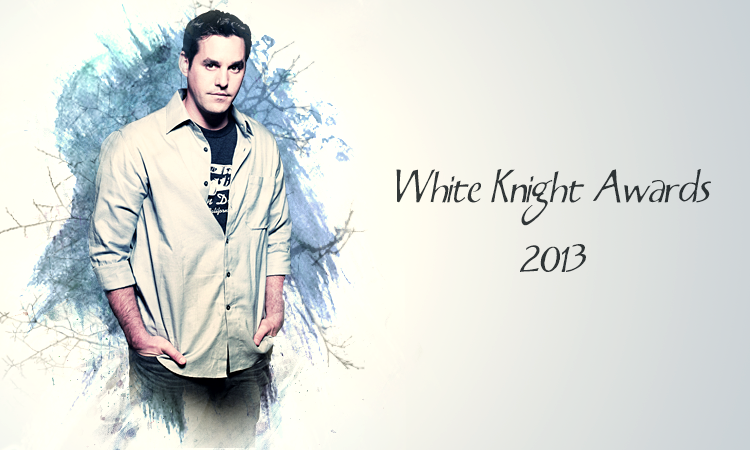 The winners of the 2010 round of the White Knight Awards have been announced! Congratulations to all the winners and a huge thank you to all the nominees and nominators - this site could not work at all without you! The 2010 round of the WKA opens for nominations on 1st September and will stay open until Thursday 30th September. Voting and Judging will start on Monday 4th October and close on 31st October. I've taken the decision to run the site on an annual basis now, so new nominations will open in June 2010 - get thinking about what you'd like to submit! We are currently looking for judges to award special awards to those fics which can so often go unrecognised in a public voting system. If you are interested, please contact us by email (remove NOSPAM) before nominations close. Want to become affiliates? Email us! (remove NOSPAM).